Select Tim Hortons in Ontario will soon be testing a larger 24oz cup. Tim Hortons loyalists are already calling foul and I can practically see Morgan Spurlock smugly sitting in his New York apartment, working on his essay on why we don't need bigger portions, but like Spurlock took on the Big Mac, I'm all over it. I think a famous actor once said, "I think we're going to need a bigger cup of coffee!" 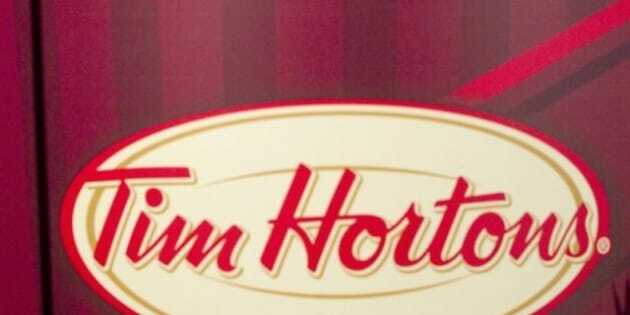 Well fans of Tim Hortons will soon get exactly that. It's just been announced that some stores in Ontario will soon be testing a larger 24oz cup. Tim Hortons loyalists are already calling foul and I can practically see Morgan Spurlock smugly sitting in his New York apartment, working on his essay on why we don't need bigger portions, but like Spurlock took on the Big Mac, I'm all over it. Look, we all know that the extra large at Tim Hortons, when compared to other coffee shops, was never really an extra large anyway, so why get your Timbits in a tumble for a new size that's still a lot cheaper than a venti at Starbucks? If getting rid of that small sized cup really means some people will go elsewhere, then I'm okay with that. I mean really, why are you in line for three mouthfuls of coffee anyway? While the coffee giant is at it, I wish they would stop making mochas too. Seriously, if you can't handle a whole cup of fairly weak coffee, than you have no business drinking it in the first place. I guess one of the reasons I'm so passionate about my morning cup of coffee is because, as a Maritimer, living in Alberta, I've had to fight a lot of prejudice in order to continue my love of Tim Hortons. Every morning, I always make sure to get my coffee in a reusable cup, not because of David Suziki's passive-aggressive tweets, but because I often feel judged for even holding a Tim Hortons cup in the first place. I live in a city where people regularly dress like cowboys and yet I get mocked for slowly sipping a double-double. These are indeed troubling times. Those in the prairies don't seem to get it, maybe it's because I grew up in a city with seven Tim Hortons on a single street. Or perhaps it's because, on cold days, the only way I could convince my mother to drive me to school was by bribing her with a bagel and a cup of Timmies, which was on the way to the school. Now I'm not saying that Tim Hortons is perfect. I still yearn for their long-abandoned cakes and really wish they would get in the business of free refills, but I've grown up believing that Tim Hortons is as Canadian as Roots clothing, so really, who am I to argue with something that is so iconic?